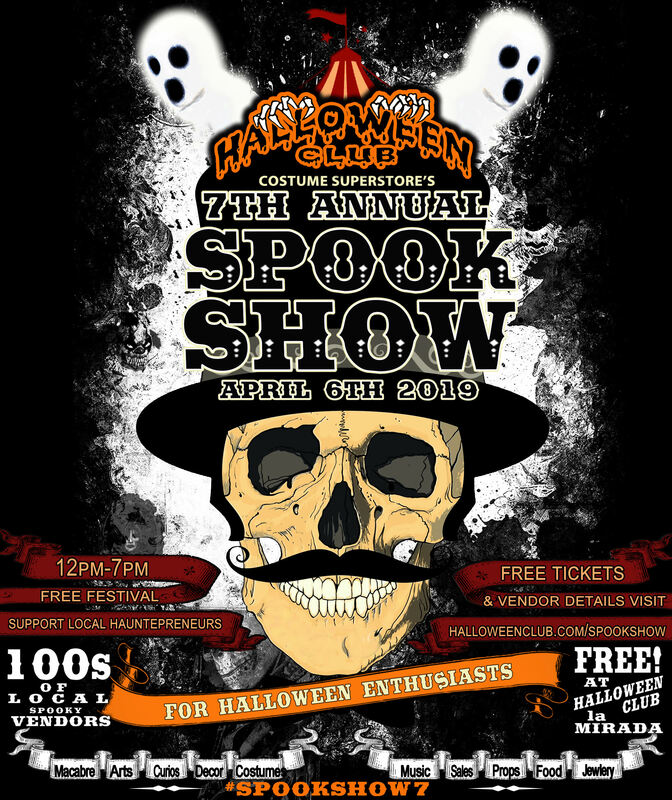 2013 was the year that Halloween Club held their very first Spook Show outside of the Halloween Club La Mirada superstore location. This get-together for the local Halloween lifestyle community grew into a spooktacular must-do annual event to fill the void kindred spirits feel at the start of the year. The 2019 Halloween festival will feature over 100 curated local vendors, artists, collectors, teachers, spook makers, hauntrepreneurs, and musicians for like-minded Halloween enthusiasts. Halloween Club also held their biggest sale event on 1000s of costumes, accessories and decorations. Halloween Club’s 7th Annual Spook Show will be held April 6th, 2018! Please check back weekly for details about #SpookShow7 or celebrate Halloween everyday at your nearest Halloween Club location. For your nearest store directions click here.